There's A Bat In My Home! Now What? 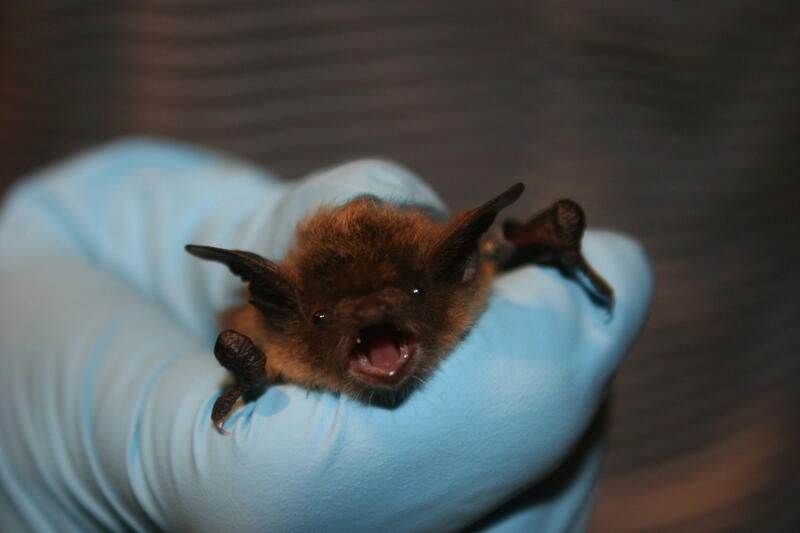 A bat presumably screaming, "STOP HOLDING ME! I'M NOT A FAN OF THIS!" It was a Sunday night in late May when WUWM listener Josephine Gomez first saw it. "I just see something whiz past my head in the living room and I couldn’t fathom this was a bat. I thought it was a bird who got in. You know, I really don’t leave the doors open, so I didn’t really know how it got in. And then I noticed it just starting to fly back and forth and of course I, you know, freaked out," she says. "I just see something whiz past my head in the living room and I couldn't fathom this was a bat..."
It was an ordeal that would end a couple days later, with the bat fleeing her home. Like Josephine, I've had my own experiences with bats which I wasn’t entirely prepared for (one involving a bat in my shower, which was entirely unpleasant and yes, as bad as it sounds.) So when Josephine wrote to Bubbler Talk asking about some of the rules and regulations regarding Milwaukee’s bat population, I reached out to the Wisconsin DNR to get a better idea of what folks like us should do when confronted with a bat situation. Dianne Robinson is a wildlife biologist here in Milwaukee and she says that while the city doesn’t necessarily have more bats than the rest of the state - it does provide a good home for them. 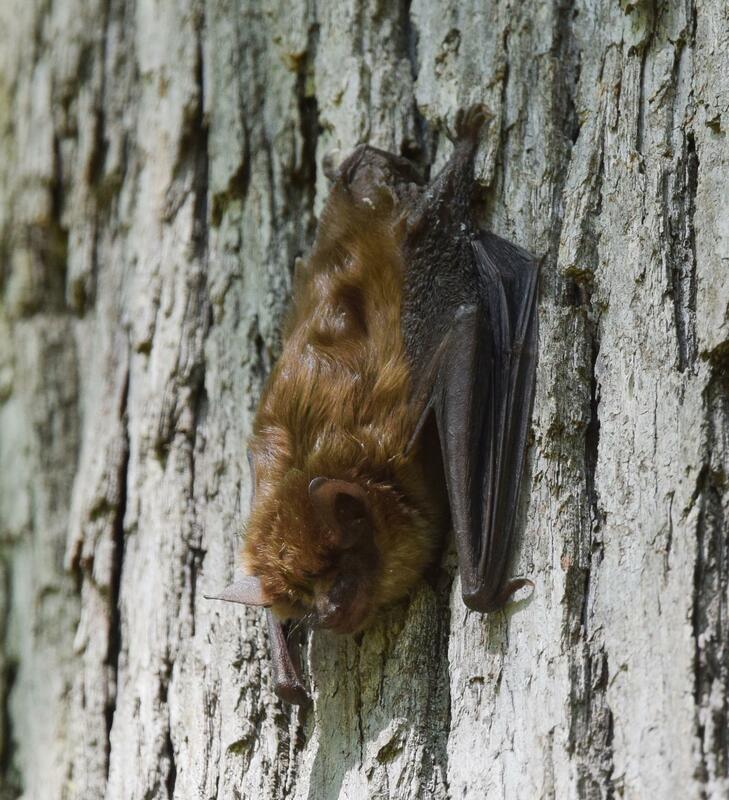 "We’ve got some pretty good habitat for bats in Milwaukee. We have a really great county park system with a lot of undeveloped parcels especially along those river ways. All of the bats that we have in Wisconsin eat insects, insects like to buzz around water and things like that," Dianne explains. A bat probably looking for a route into someone's home. Josephine lives in Bay View, between the river and the lake - an ideal location for bugs and bats. But, why do bats enter homes? Ultimately, bats are a bit like an old college roommate who happens to be passing through town: they’re just looking for a place to stay the night. And similarly, bats can be surprisingly adept at getting inside, and they likely won’t use the front door. Dianne says, "So if there’s any kind of opening in your home if that’s some board that are out of place or something like that, that’s where a bat is going to be able to find its way in. Bats are really not very big, they’re kind of the size of a small rodent. So they can find a pretty small area." "My best recommendation to anyone is - especially in the spring time - look around your house and see if there’s any openings, particularly in an attic area, that might be an area where a bat could get into and then close that area up," she says. A bat in its proper place: not in your home. If a bat does manage to make its way in your home, what should you do? It's illegal to kill any bats in Wisconsin, so that's out of the question. 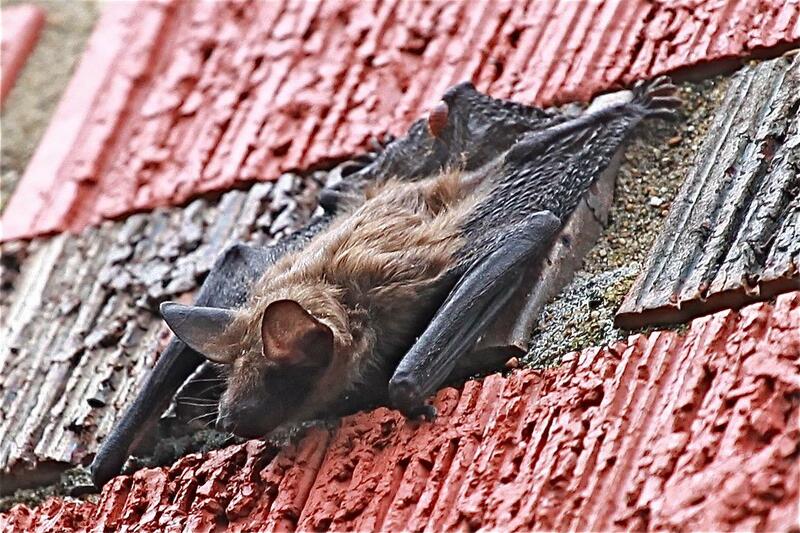 There are exclusion traps that can get bats out of your home, but there’s a catch. "During the summer time period - so from about June through middle of August - is the time when bats are raising their young," Dianne explains. "So those young can’t fly during that time period, so if you put an exclusion trap on your home it’ll exclude the adult but that young one is still in there. That’s why there’s certain stipulations that say unless there’s a significant health problem or something like that, you can’t exclude a bat during that time period, because you’re likely excluding it from its young." Josephine reached out to bat removal specialists to help her - and so did I, the first time. The second and third encounters, however, I enlisted help from friends and family. And Dianne from the DNR says that’s just fine - as long as you cover up. Bats can spread diseases, most notably rabies which is often fatal for humans. While the risk of getting rabies from a bat is low, it’s still a risk. Biologist Dianna Robinson speaking with Lake Effect's Joy Powers. "Absolutely you can go and help it but make sure that you’ve got those thick leather gloves or something like that so that the bat can’t necessarily accidentally scratch you or bite you or anything like that," she says. "So leather gloves, grabbing it, throwing it outside." And hopefully, with perhaps a devilish twist of luck, that will be the end of your personal bat saga. Wisconsin has a nickname. You've seen it on license plates: America's Dairyland. And in Milwaukee, you may have heard this moniker: Cream City. It intrigues Bubbler Talk listener Anne Bromfield, who asked: "Why was Milwaukee once referred to as Cream City?" The answer might surprise you. It has nothing to do with the dairy industry. This story originally aired September 8, 2017. According to TMJ4, At Random closed on May 19, 2018 and is up for sale. 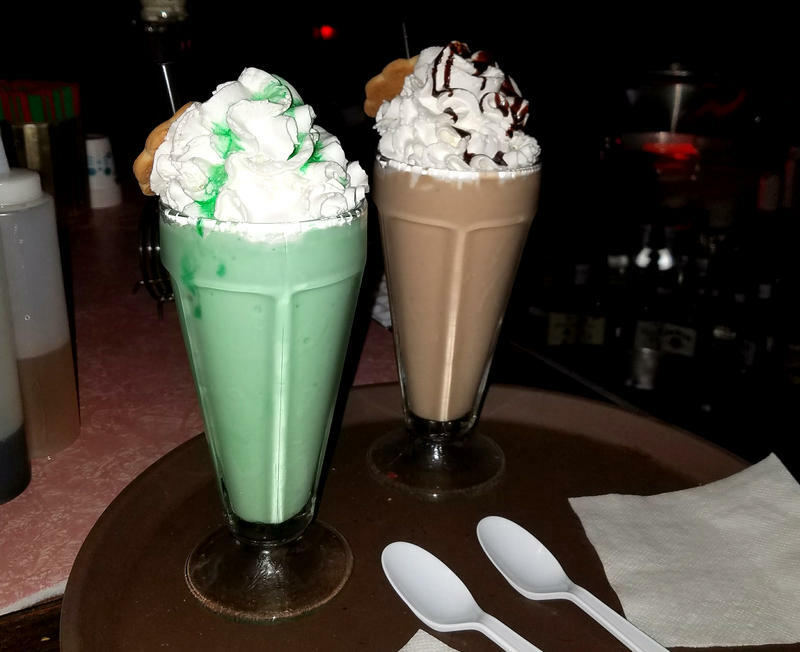 Pink Squirrel, Grasshopper, Brandy Alexander, Banshee... Is there something uniquely Milwaukee about ice cream cocktails? 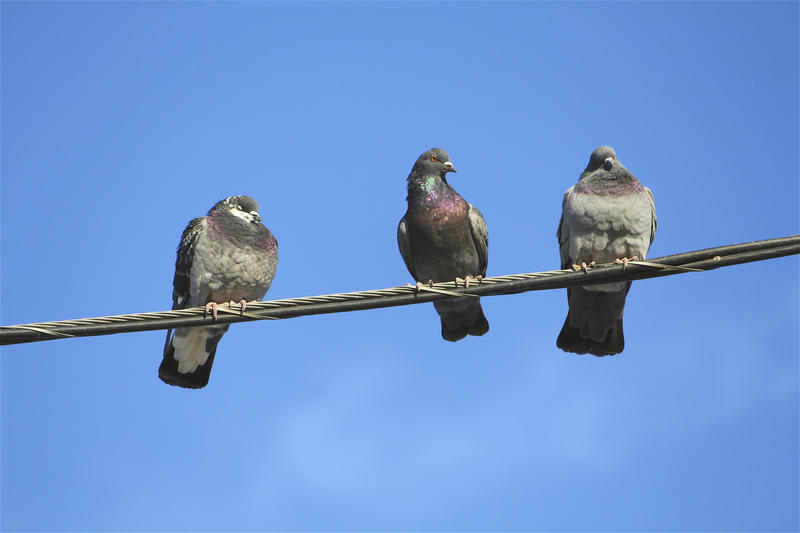 Phil Lapayowker has noticed a distinct lack of what some people unkindly call ‘flying rats’ in Milwaukee. "I was listening to a podcast and they were talking about animals in cities and stuff, and they ended with 'Do you know what color a pigeon’s eyes are?' and I was like, I have no idea!" he says. "So I’ll go look for one, or when I’m walking I’ll see one I’m sure. And I’ve never run into one in Milwaukee… I mean it’s kind of crazy. You go to other cities like Chicago and they’re everywhere." Almost 20 years ago, Milwaukee was 'invaded' by three six-foot-tall ladybugs. 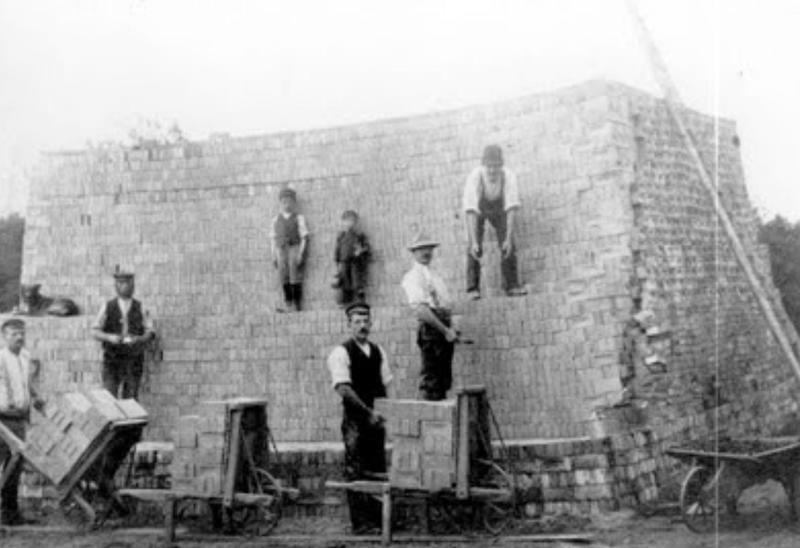 They latched on to a downtown building and have been there ever since. For years, Nancy Leafblad of Brookfield has wondered about the enormous bugs, so she turned to Bubbler Talk to learn more.